When summer rolls around, I usually find myself spending more time outdoors with friends, usually by the pool! We love to get all of our friends and family together for big cookouts! And you know what you need paired with all of your yummy summer recipes? A good cocktail, of course! 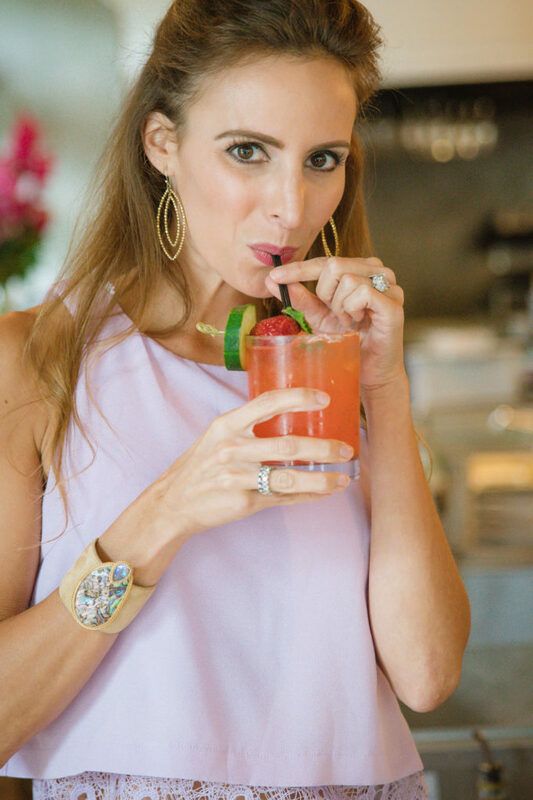 I love a good, refreshing summer cocktail – one that’s just sweet enough but still refreshing in that hot summer sun. 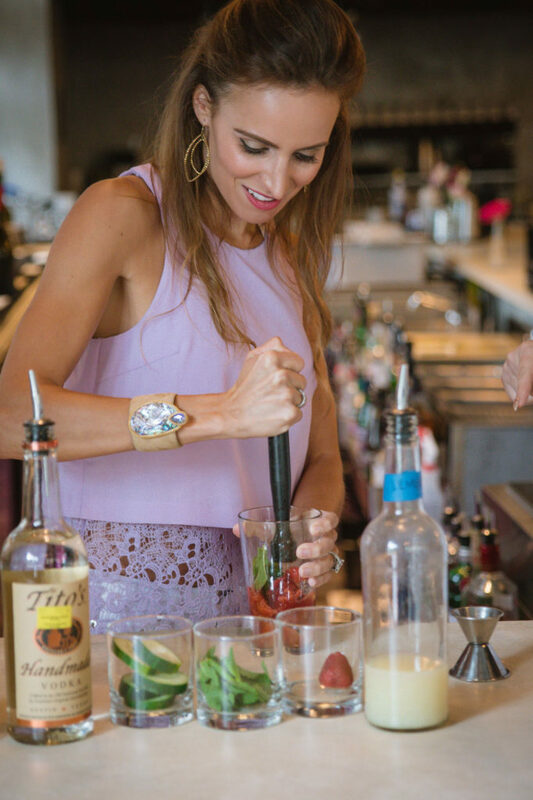 I’m always mixing things up and trying new concoctions to find the perfect drink. 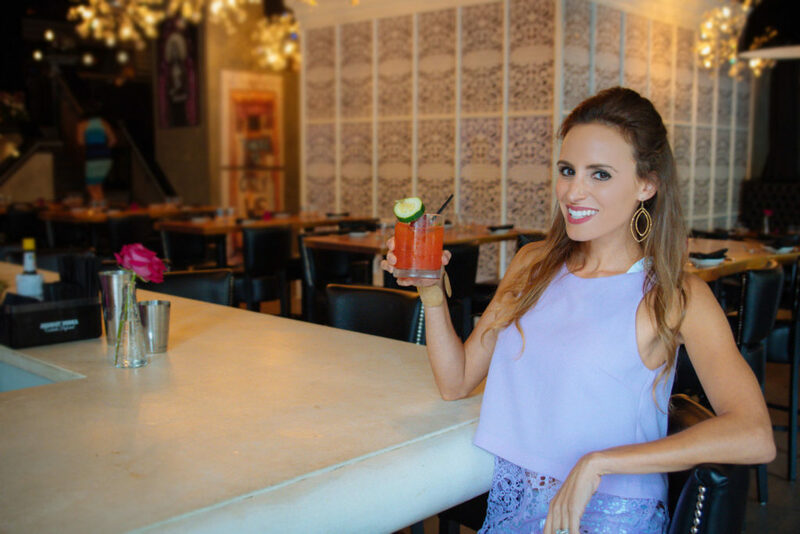 I recently teamed up with one of my favorite restaurants, 5Church in Uptown Charlotte, to create my new go-to cocktail for summer 2017! Let me tell you, the cocktail I made is AMAZING. It’s full of strawberries and cucumbers and a hint of mint. If the combination of these flavors doesn’t scream summer, then I don’t know what does! 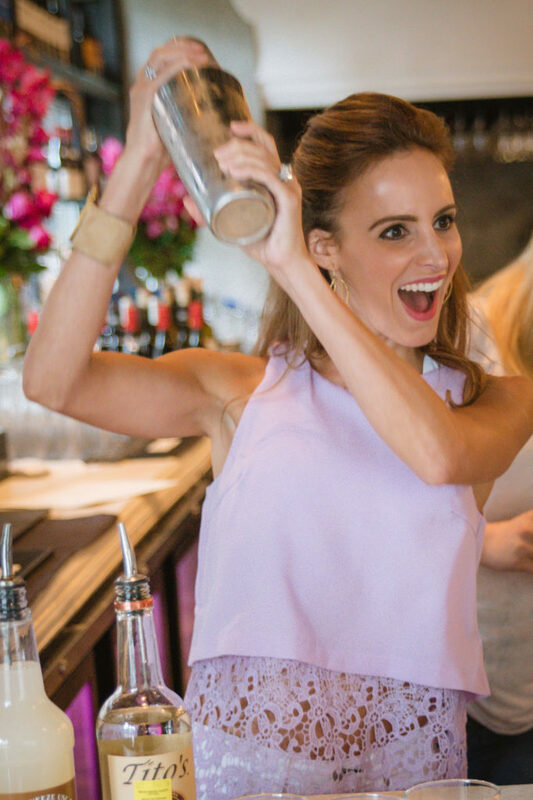 The recipe and directions are super easy – this cocktail can definitely be made at home, even by a non-bartender like myself. If you don’t know what orgeat is, it’s a sweet syrup made from almonds that can be picked up at your local Total Wine. 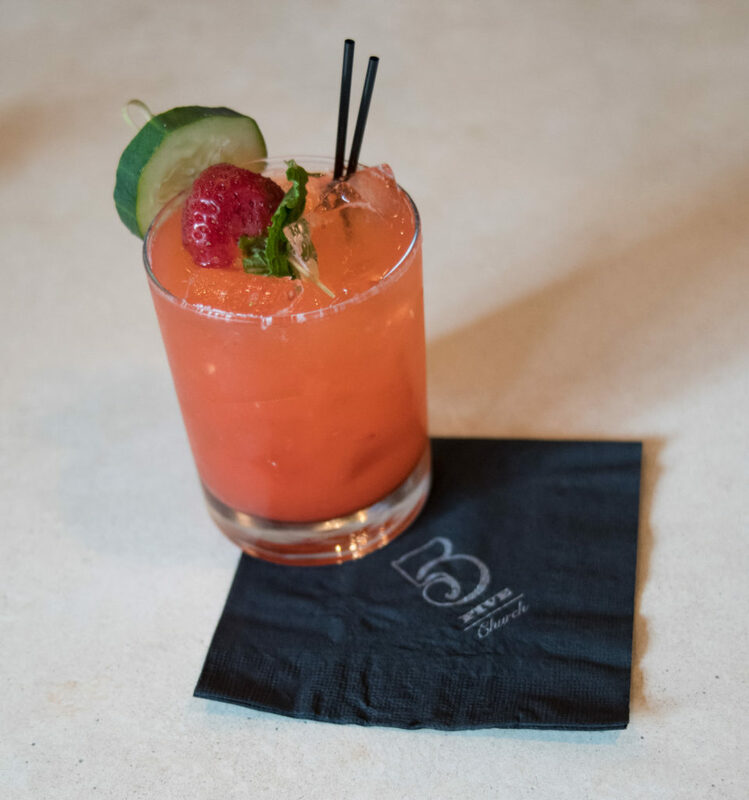 All you have to do is muddle the strawberries, mint and cucumber slices with the orgeat in a shaker. Then you add ice, lemon juice and vodka to the tin and shake well. After, you just strain the drink over fresh ice and top with a splash of soda water. And of course, I like to make mine pretty, so I garnished it with cucumber, strawberry and mint! And that’s it! Easy enough, right? I am seriously obsessed with this cocktail! It’s so refreshing and just sweet enough for my taste. It’s a perfect drink to make if you’re hosting a party with friends or just soaking up the sun by the pool. I recommend saving this recipe and trying it yourself. It only takes minutes to make and I promise you won’t regret it! Like I said, I’m always looking for new recipes to try out and add to my list of cocktails. 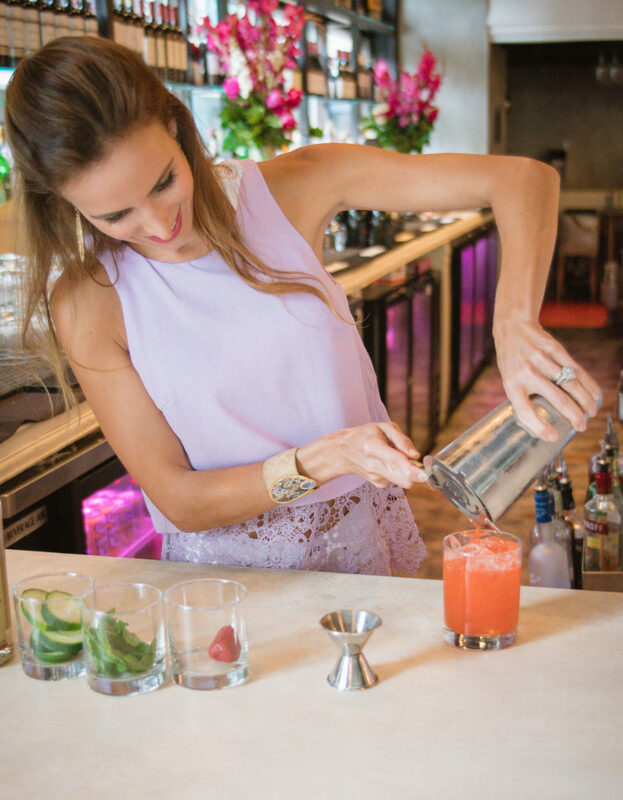 What are some of your favorite summer cocktails to make at home? Let me know! And if you make my cocktail from this blog please let me know what you think about it!